Fawzia Koofi speaks on The Daily Show with Jon Stewart on February 13, 2013. Image courtesy of The Daily Show. Afghanistan is everywhere you look – and not in the way you would expect. From Carnegie Hall and The Daily Show to the Oscars and the Grammy’s, Afghan artists and opinion-leaders are suddenly high profile. They are showcasing the best of their country through arts, culture and sports. 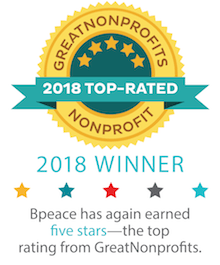 The Afghans and Afghan Americans amongst the Bpeace membership offer their insights on why they believe their country is on a roll. Kicking off the 2013 season at Carnegie Hall was an unusual troop of performers. 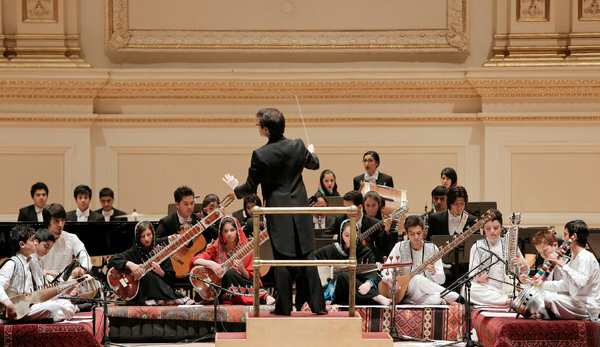 Boys and girls from the Afghan National Institute of Music in Kabul played in front of captivated New Yorkers at Lincoln Center. At the Kennedy Center and other U.S. government venues in Washington, D.C. they also performed for some of our country’s most prominent policymakers, including Secretary of State John Kerry. Showcasing this culture of hope in Afghanistan is the Oscar nominated short film Buzkashi Boys. The Afghan film generated Oscar buzz when it was nominated in the Best Live Action Short category. Although it didn’t win, the film’s nomination has been described as a “source of pride for Afghanistan.” The film (funded by the U.S. Embassy in Kabul) is part of the Afghan Film Project. The initiative works to support and train aspiring Afghan filmmakers to tell their own stories, with the larger goal of helping to grow the Afghan film industry back to its former glory. Beyond the small screen, Afghans are breaking through America’s music industry. A Grammy award for the best New Age Album recently went to Afghan musician Omar Akram for his album “Echoes of Love”. Bpeace is seeing this cultural emphasis on the ground with the number of our Fast Runners engaged in the arts. We support five filmmakers, including film producer Alka Sadat who is organizing the country’s first Women’s Film Festival in Herat. The festival will showcase films from women filmmakers and be held in March in honor of International Women’s Day. Guissou Jahangiri, Executive Director of Armanshahr Foundation – one of the many non-profits supporting the film festival – heralds the event as “a breakthrough in today’s Afghanistan." To learn more, visit the event’s Facebook page. For those interested in viewing Afghan films but unable to travel to Herat, the Guggenheim will be screening Afghan films from the 1960s to the present, as part of their “History of Histories” exhibit, from now until April 2013. 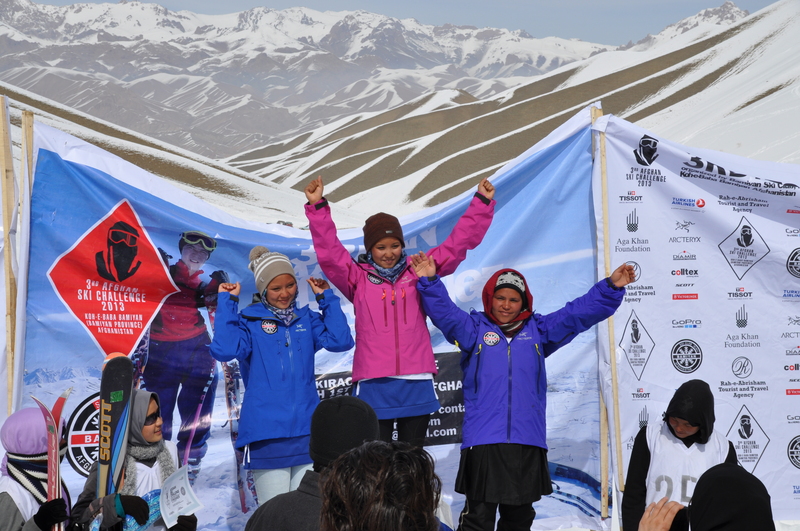 The Afghan skiers left the international athletes in the dust, with all of the Afghans finishing ahead of the 14 foreign athletes racing. As racer Brenton Earl, a player with the Australian Football League, said, "The Afghans were just dominating... They're real good." When talking about the significance of the race, Habiba Sarobi, Afghanistan's only female governor explained, "We want to introduce Bamiyan as a tourist destination to the world... [Afghanistan has] a lot of good opportunities and nice places like Bamiyan where tourists can come."